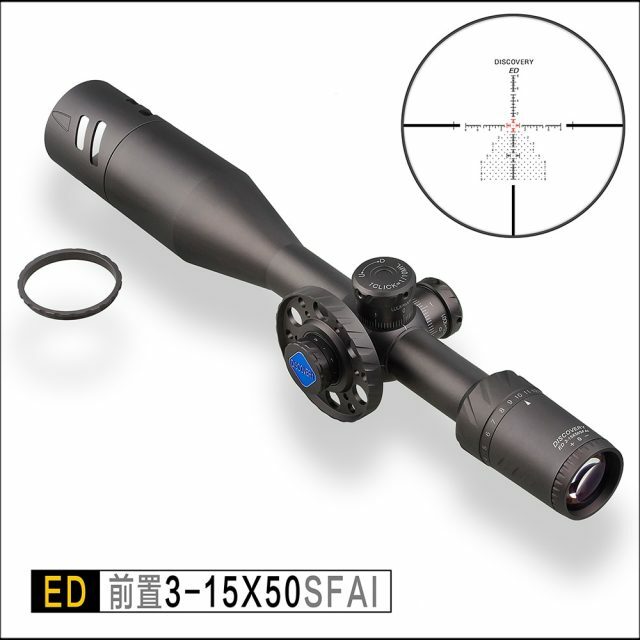 The ED Line of Discovery scopes feature ED Hoya glass, super bright and clear, and top quality, with a first focal plane half-mil christmas tree reticle. Featuring lifetime warranty against defects or failure, the ED line is built extremely tough, for the heaviest recoil rifles and the worst weather, yet it is also nice and light and compact. If you are looking for high quality at a super price, look no further! Comes with a sunshade and sidewheel, and your choice of mounts. DISCOVERY VT-3 3-12X44 SF FFP First Focal Plane Rifle Scope – on Sale!